Review: "Ulver: Wars of the Roses" - Sea of Tranquility - The Web Destination for Progressive Music! CRITICAL GEOGRAPHY � Lost for words. 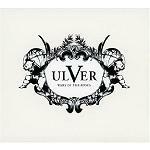 Wars of the Roses is another worthy entry into the Ulver discography. The album achieves a fine balance between the more guitar-driven sound of Blood Inside and the atmospheric elements of Shadows of the Sun, Ulver's previous two albums. However, it is neither as densely layered as the former nor possesses the evocative flow of the latter. Rather, it amalgamates musical traits from its predecessors while re-shaping them with a more direct approach. The album derives its power from being extremely varied, as it is comprised by far-reaching sonic experiments. The opening track, "February MMX," is strangely addictive, despite being Ulver's most upbeat piece of work to date. Although the band describes it as a pop song, it breaks pop music conventions as it carries the unique Ulver stamp. From the way the percussion is used to the entire arrangement, the simplicity of the composition works perfectly to express the underlying apathy intended to portray. Except for the last track, none of the songs are overtly long. Mostly, each track is anchored to a single key motif, be it the subtle strings, the intense musical passages, or Garm's vocals. And while the songs may sound like they are uneventful in their flow, repeat listens prove extremely rewarding. There are flashes of brilliance in each and every composition waiting to be discovered � and as predicted, they're carefully written into the pieces. Any person who calls themselves a fan will be blown away by the brief piano melody on "Providence" or the insanely sad sounding intro of "September IV" � consider the dichotomy in the main melody and vocal style, for instance. There is also the song "England," an instant favourite because it offers some of Garm's most giving vocal performances ever. The title is absolutely fitting and conjures up images of the country's dark, gloomy autumn days. It actually reminds me of my time in England and helps me relive its atmosphere, despite dealing with an entirely different subject matter lyrically. As can be expected, Garm's singing is emotionally heavy and reflective. His broken, faltering approach on the album conveys feelings of regret and apathy. The way he sings about the violent death of a family member on "September IV" is heart-wrenching. He enunciates each word slowly and carefully yet with unspeakable depth � his voice is distant and hollow, like he'd rather not be there. His is a kind of singing fans can lose themselves in listening to it � no one compares. On "Providence," the band imparts their indelible melodic signature during the midpoint with a crazy atonal passage. This comes off as quite a surprise given the song's otherwise numb, cold feel. The instrumental passage is laced with beautiful inversions and chord progressions. Garm is accompanied by R&B female vocalist, Siri Stranger, and they exchange verses and melodies. This is the second time I've heard Garm duetting with a female singer. His work with Anneke van Giersbergen on The Gathering's Souvenirs was breathtaking � this one comes close. The production is mindblowing, and the mix was handled by the great John Fryer (Depeche Mode, Fields of the Nephilim). Easily a sonic monument, Fryer has aptly integrated a wide range of instrumentation into the mix, from violins to clarinets to other acoustic elements. They are blended so seamlessly that you are never quite sure where they're coming from or what the source is. "Norwegian Gothic" is such an experiment. It packs jazzy chords and goth-rock qualities with a totally Coil-inspired aesthetic into its 3 minute running time. Quite a feat indeed, especially given its serious lyrics. It is a critique of Norwegian nationalism which somewhat goes hand in hand with the aforementioned track "England." It actually helps to check the booklet for guest contributors and other instrumentation. You may be surprised to find out that Mayhem's Attila Csihar actually makes an appearance and it is perhaps the lap steel guitar on the wonderfully crafted "Island" why it recalls David Gilmour's solo album, On an Island. The intro, Garm's singing, the texture and arrangement boast the distinctive Gilmour vibe before the band makes it their own and concludes it with a paralysing finale. It remains to be seen how Wars of the Roses will rank in the Ulver catalog. To me, what may prevent it from being a masterpiece may be the last track, due to its length and slightly monotonous pace. At nearly 15 minutes, "Stone Angels" is a poem by Keith Waldrop (you can find the full lyrics in the booklet). It is recited by Daniel O'Sullivan, and while good in its own right, this may be the song even some Ulver fans have a problem with. The focus is entirely on the lyrics and it is great to read along, but other than that one has to be in the mood for it, I suppose. By the way, the packaging is sublime. As with other Kscope releases, the CD comes in a beautiful jewel box, similar to Steven Wilson's solo album, and a digicover. When removed, you will see a totally different cover art � amazing. I've had the European release of this for quite a while now and have listened to it at least a hundred times. Needless to say, I am blown away. I do not consider it Ulver's best yet � that honour would go to Perdition City or Blood Inside. However, I felt the same way about Shadows of the Sun and now after all these years I've come to love it nearly as much. It always takes time to fully appreciate Ulver albums and this one is no exception. At any rate, if you're a fan, for 7 tracks and 45 minutes, your world belongs to Ulver.